Fostering shelter cats, what are the expectations vs. reality? When you foster a cat from your local animal shelter, you may have some expectations based upon what other people have told you. So we’re here to set the record straight and share with you the reality of what it’s like to foster a cat. Expectation: Shelter cats are feral – Many people wrongly believe that all of the cats in animal shelters are feral or wild cats that do not make good housemates. The reality is that your local animal shelter is very experienced with socializing cats to get them adopted and they know a thing or two about ferals as well. Reputable animal shelters have established Trap Neuter Release (TNR) programs to catch, sterilize and then release feral cats back into their community. They know that ferals will not make good house pets no matter how hard you try and they won’t ask you to foster a feral. They’re also great at socializing younger kittens to people early on so that they develop that trusting relationship. So you can rest assured knowing you won’t unexpectedly get paired up with a wild animal. 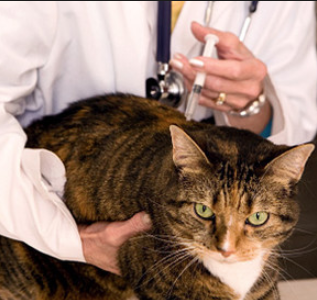 Expectation: Shelter cats carry diseases – Perhaps one of the most common mis-conceptions is the expectation that when you foster a cat from your local animal shelter, that they will be full of diseases. So if this is one of your expectations, we invite you to visit your local animal shelter to get an inside look at their operations. Animals that come into their care are evaluated and vaccinated from diseases just like they do at your local veterinarian’s office. Some animal shelters have on premises clinics for everything from spay and neuter to more complex surgeries so simple vaccinations are a routine task for them. Your foster cat will likely be fully up to date on vaccinations and your local shelter will be glad to keep them current for you. Expectation: Shelter cats don’t like people – Many people expect that their foster cat will not like people and will hide under the bed all day. While it is true that some animals are more outgoing than others, the reality is that cats thrive in a foster environment when they are out of the animal shelter. Cats are social creatures and you can expect that once they get comfortable with their environment after a few weeks, that they will be out and about and likely following you around your house. Some foster cats will want to sit in your lap, others will just want to be near you but either way, once they know you’re their people you’ll wonder how this myth came into existence. 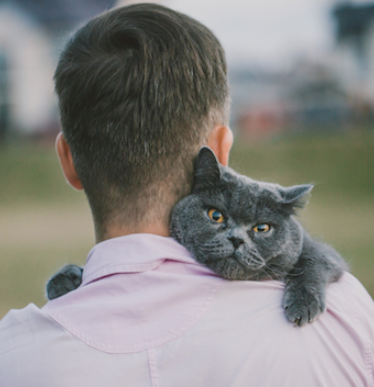 Expectation: Shelter cats are loners – Often I hear people say that cats from local animal shelters do not get along with other cats and need to be the ‘only’ cat. While every situation and every cat is different, your foster cat may be well-socialized with other cats. Definitely ask your local shelter professionals about the best way to introduce your foster cat to your owned pet to make sure that it’s a good match and that you understand the nuances of cat behavior. You don’t want to just toss your foster into the kitchen with your own cat unless you enjoy the hissing and high-pitch squealing noises common with cat fights. Providing a foster home for a cat is a tremendously rewarding experience.